I love potato salad. It’s another one of those things I only make a couple of times a year, because I love it so much and will eat too much of it if I make it. 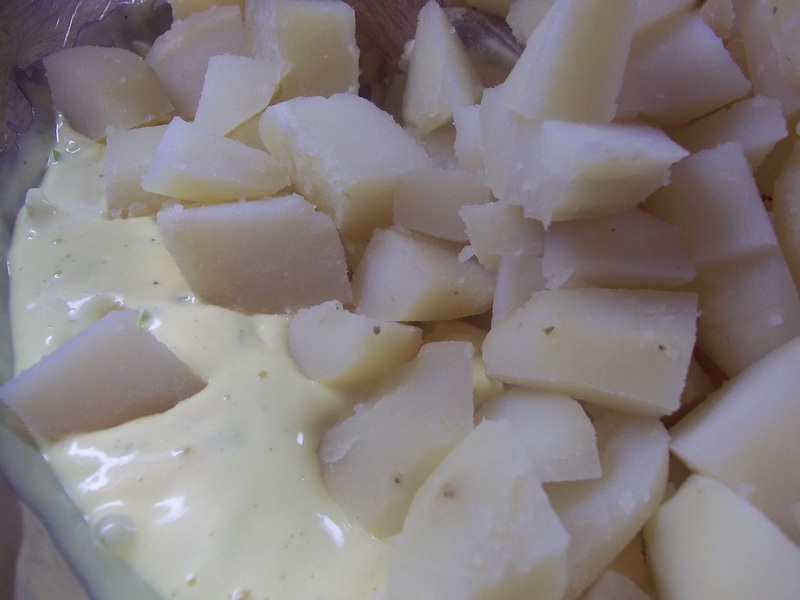 I am very particular about potato salad, though, and what goes into it. My two favorite versions are my mother’s which is very sweet, and the potato salad made by a friend of mine from our first duty station. I had thought at the time that my mother’s was the only recipe I liked, but when I tasted my friend’s it was completely different, sour instead of sweet, and delicious! I asked her what she put into it and she said she saved the juice from the bottle of her dill pickle jar in her refrigerator and that’s what she used for the acid in her potato salad. 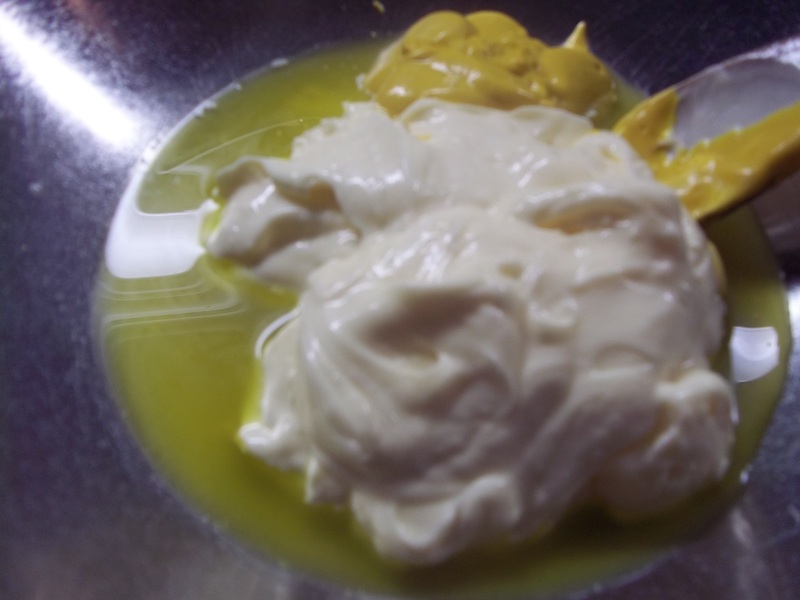 I have been making my potato salad with pickle juice ever since, going on 20 years now. I still add a little sugar, but I love that sour, dill pickle flavor. I don’t know if I chose the name for this recipe because my friend is an all American, Missouri girl or because I went to a Hinder concert a few weeks ago and have been spring cleaning with the song All American Nightmare running through my head most days, but either way…all American it is. 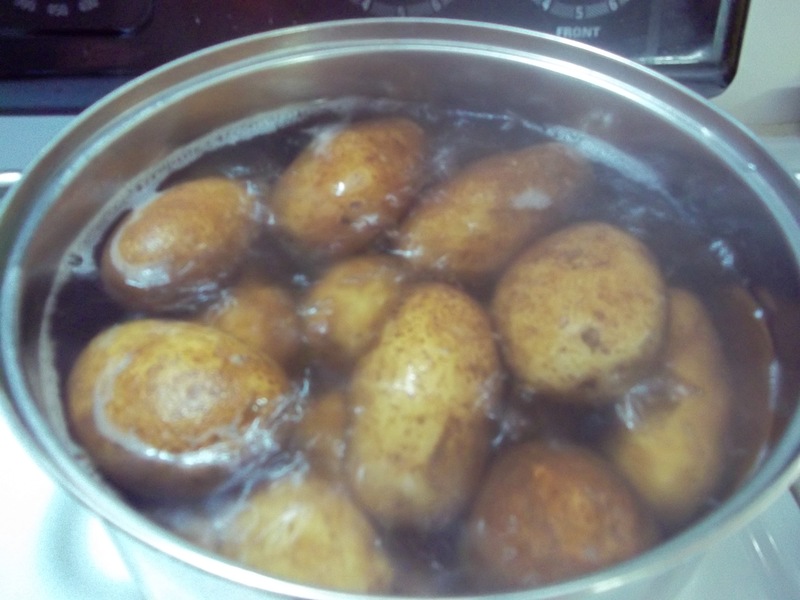 Place potatoes in a large stockpot and cover with cold water. 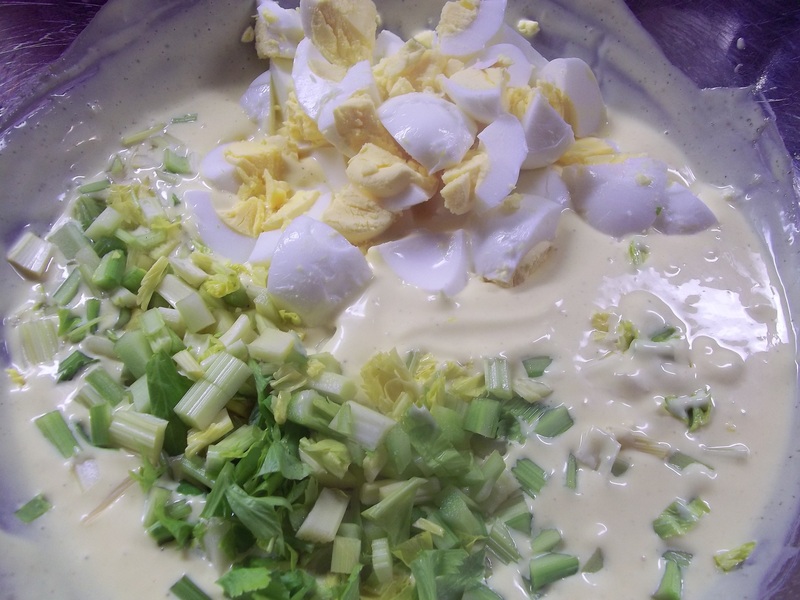 Bring water to a boil, reduce to a lower boil and cook until softened through to the center. Drain and chill until cold (when I’m in a rush, I put them in the freezer). 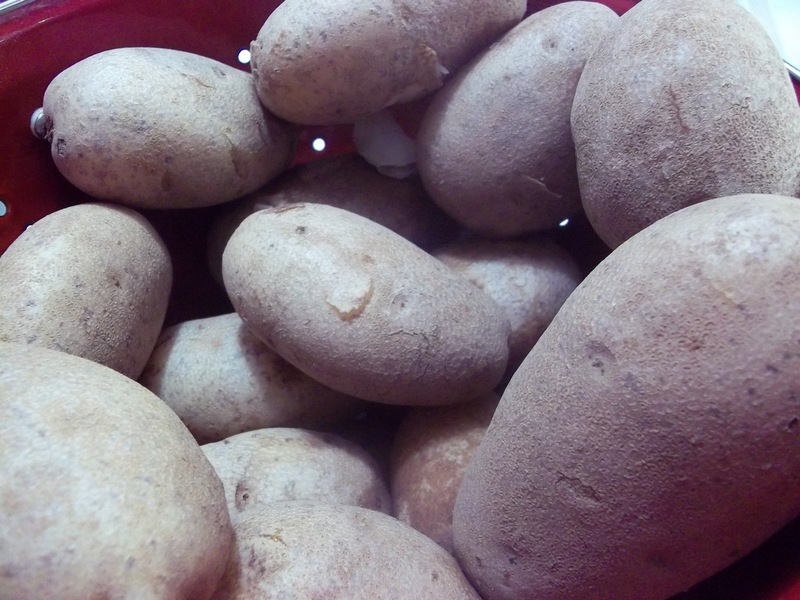 While potatoes are cooking, mix together the remaining ingredients. 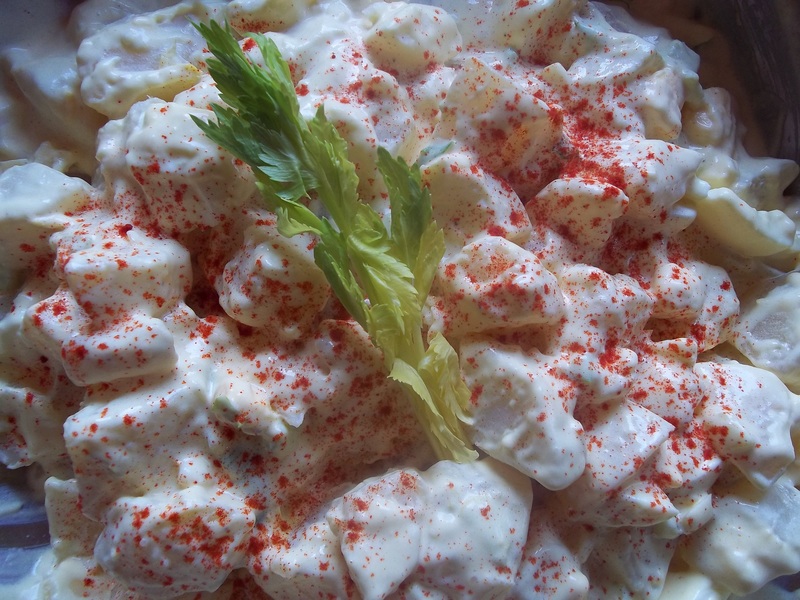 I always think potato salad tastes better the next day, but still serve it the day I make it. My parents both make it hot to let the flavors meld. I see the point in this and think it does really help, but I’m always too impatient to wait. Makes up to 14 servings. Potato salad is defiantly All American to me.